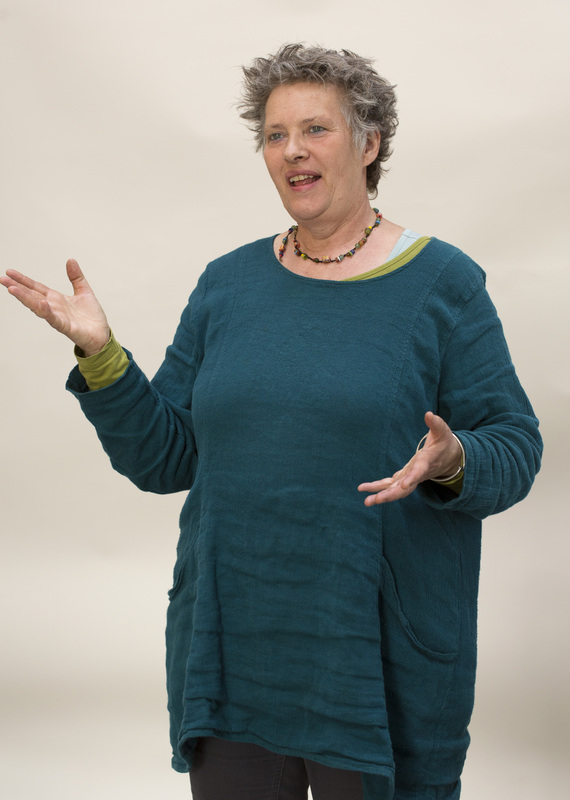 Jutta Eberhards has been working with drama and living history for over 30 years. Born in the Friesland district in Germany, Jutta has over the years become a power-house in the management group of Sagnlandet Lejre – The Land of Legends (www.sagnlandet.dk). She has been tirelessly working to uphold the standards of the educational method that she and her colleagues developed: Teacher in role and Presenter in role. 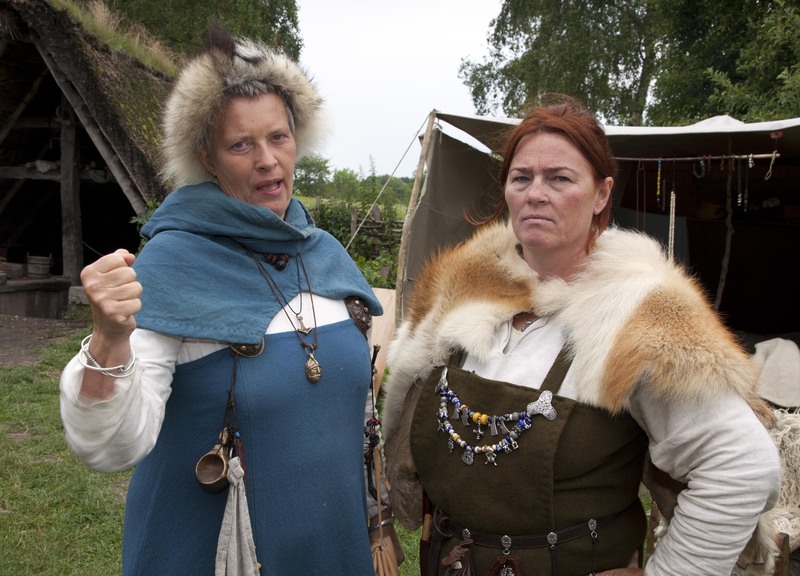 In character as a Viking, Jutta inhabits the role of Japke, a völva and Viking woman. In this work, Jutta showed courage and open-mindedness in developing reenactment as a pedagogical and educational method, at a time when this was still relatively unknown in Danish museums and historical centres. 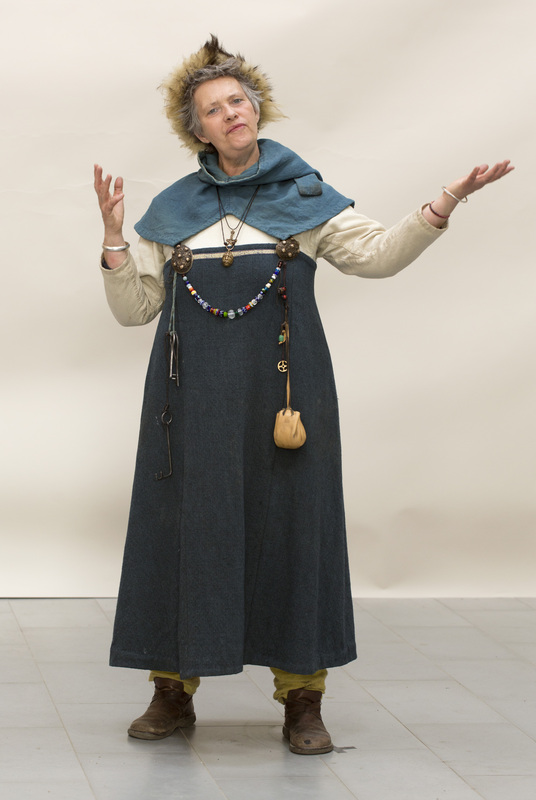 Since then, the work of Jutta and her colleagues has inspired other historical institutions to take on living history and reenactment – in historical character and costumes – as an essential part of the presenter’s tools, either following the Lejre method directly or finding inspiration for developing methods of their own. I find it very important to make it clear to the public, that what we reenact is only our interpretation of the archaeological and historic material. There is no such thing as a complete and true picture of the past. Aside from a lifetime of hard work and dedication to the Sagnlandet – Land of Legends in Lejre, Jutta has played an important role as a prominent employee of the Skoletjeneste (School service) on Sjælland. She is also a part of the management group of the Association of Historical Workshops in Denmark (www.historiskevaerksteder.dk), who work to share best practice knowledge between employees of the many Historical Workshops throughout the country. Originally I was educated as a pedagogical social worker and I have a degree as a drama teacher. I have always been working with people in all stages of life, and the wellbeing of those around me is always important. Before I started working in the then Lejre Forsøgscenter, my main field of interest and work was on pedagogical in-group dynamics. I also worked as a teacher and held different courses and workshops. I started to work in Lejre back in 1986. I initially got a job there via the municipal job centre, as I had been unemployed for a while. Before long, I was employed as a presenter and educator every summer season, and later in a permanent position all year round. For many years now, I have been Head of Education and Development (this a partnership between the Skoletjeneste, the state funded school service on Sjælland, and Sagnlandet Lejre – ed.) 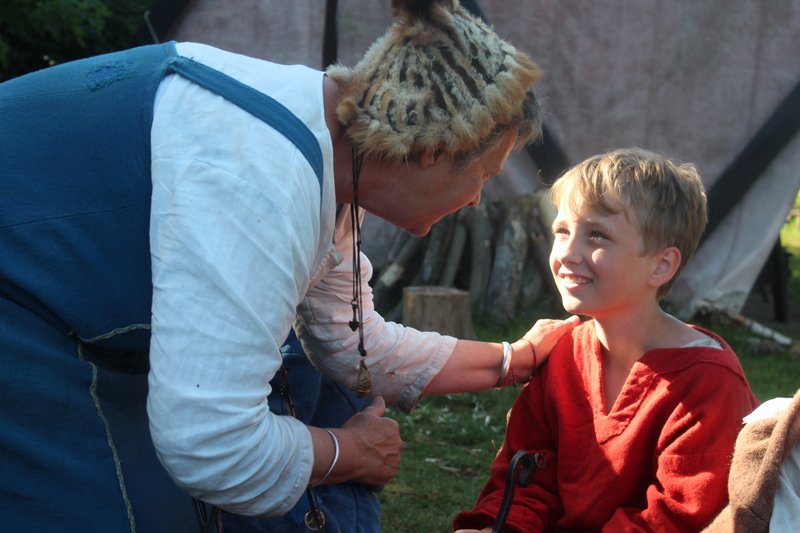 as well as manager of the Viking age area Ravnebjerg in Sagnlandet, which focuses especially on school camps. 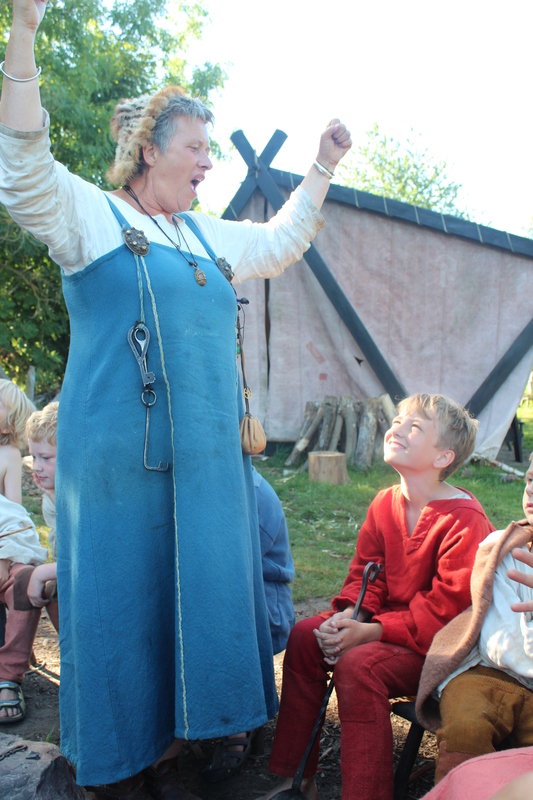 We host Viking Age education for schools for up to a week at a time, but also have many pupils visit for one-day excursions. 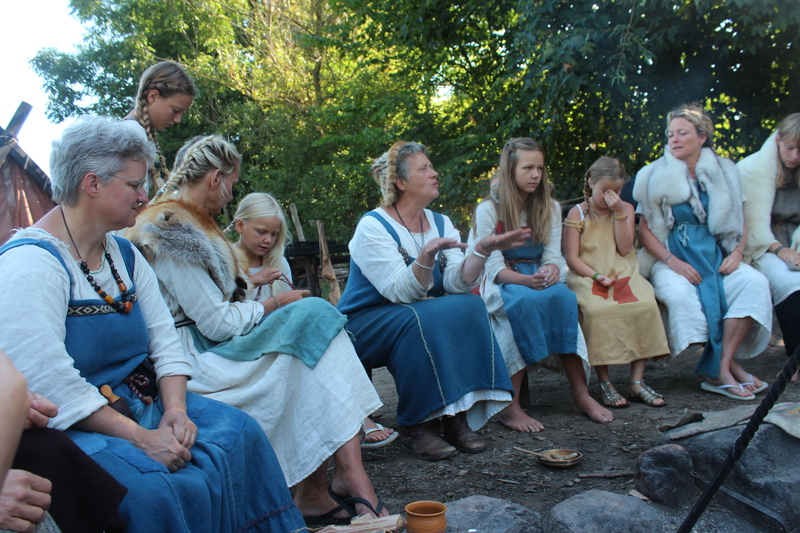 In addition, we re-enact the Viking Age for tourists and other visitors in Sagnlandet Lejre on weekends and holidays. 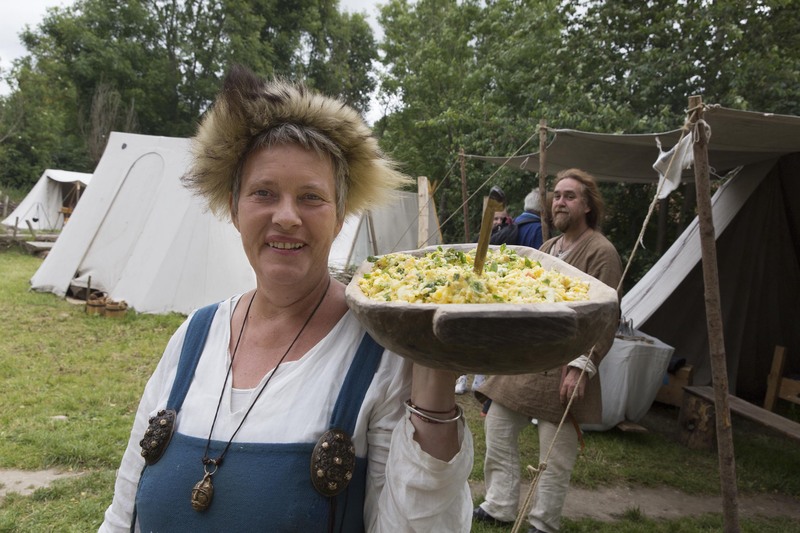 We also take part in events for companies and other groups, and host Viking holidays for two weeks in the summer for families of three generations. How did your interest in cultural heritage, living history and experimental archaeology start? The first time I ever set foot in Sagnlandet Lejre – Land of Legends, was as a tourist; back then it was called Lejre Research Centre or Historical-Archaeological Research Centre (this was the official title – ed.). With ongoing explorative research into experimental archaeology, as well as the public presentation and school education, there was a lot to see and experience. I fell completely in love with the place, situated in the beautiful surrounding ice age landscape. At the Neolithic site (no longer present – ed. ), I met a woman who worked with pottery. We talked about her work and I tried to make a small cup out of clay. She told me that she had found her way to working in Lejre because of long-term unemployment. I wanted to move into a different line of work from my previous employment as a social worker and, like her, I had been unemployed for some time. I had to work hard for the job, but finally it paid off, and I started as the first female employee in the section in charge of the Grounds Facilities in Lejre. I took care of the animals and helped maintain the reconstructed historic areas. The following year I was hired as a seasonal presenter in Lejres reconstructed Iron Age village and in the 18th century farmhouses. My main tasks was educating and instructing schoolchildren and talking to the visitors about the reconstructed areas. In the beginning, we worked in our own modern clothes, and sometimes we lent a helping hand when archaeologists and other scientists performed their experiments. The knowledge I acquired helping the researchers was incredibly valuable to me, as it made it possible for me to tell the schoolchildren, tourists and other guests about the interesting and important scientific experiments. It did not take long for me to start using storytelling as a presentation method when talking to the tourists. Live demonstrations and living history in character and in reconstructed clothes came later. What considerations and thoughts did you have, when you decided to go from wearing “modern clothes” to the use of roles and reconstructed clothes as a method for presenting the past? It all started with one garment. Land of Legends has always used hands-on activities as a starting point for dialog with schoolchildren and other visitors. 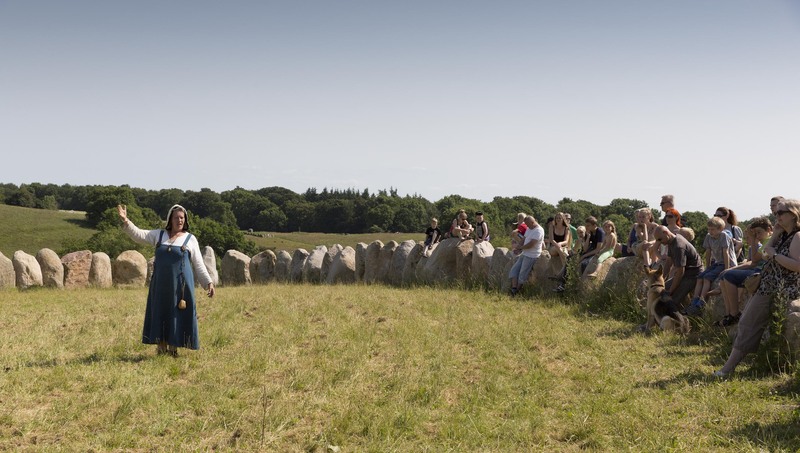 We were curious to see how scientific archaeological knowledge could be mediated to the public, using period-correct garments in the different reconstructed historical areas. We discovered that when we were using reconstructed clothes we had to develop a completely new and different way of teaching the schoolchildren and talking to the visitors. Therefore we developed the concept of engaging and teaching the guests in character, as a historical person. This made it possible to interact with both children and adults in new ways. I find that when you're in character as a historical person you can act as both mediator and teacher, as a skilled craftsman and as a private person, and it is possible to talk about yourself or your character in the 3rd person. When taking on a role and wearing reconstructed clothes, you act as a “Time witness”. The teachers and presenters at Lejre have all chosen and developed their own individual historic character. I find it important that they feel comfortable with their character in relation to their own lives, situations and skills, drawing on their own life-experiences when in character. This strengthens the education of, and communication with the visitors. In your opinion, what is the most important goal in mediation and living history? As presenters of living history, we invite our guests on a “Grand Tour” – an educational journey – containing exploration, insight and experience. By articulating the past in this way, we give our visitors the opportunity to lose themselves in another time, where the past becomes present. We literally transport them to another time and place. Abstract historical subjects – like religion, law, and social roles – are made tangible through reconstructed workshops, and by acting and using characters we can highlight specific topics in the past. The archaeological artefacts, historical documents and legends, like the Icelandic sagas, come to life and are made relevant to modern people. It is very important for us not to go against the source material. As a “Time witness”, you act as if you have seen the past with your own eyes and heard it with your own ears. As teachers and presenters we reconstruct specific artefacts or archaeological finds and reenact a specific time, place and event, based on scientific evidence. 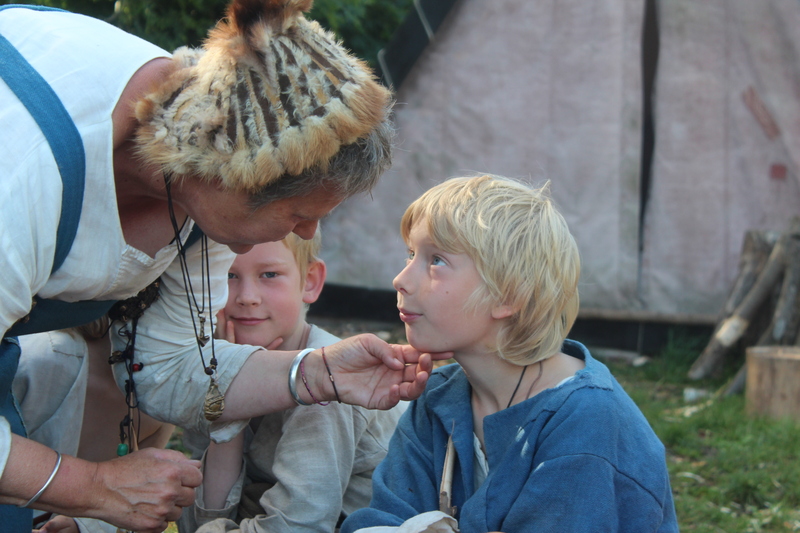 Would you like to emphasise any specific method regarding teaching and living history? I find it very important to make it clear to the public, that what we reenact is only our interpretation of the archaeological and historic material. There is no such thing as a complete and true picture of the past. That is why we have to put the past into perspective by communicating and reflecting with the visitors on the reenactments we have chosen to present. For me, it is important that our presentations always reach out to the guests and pupils, with dialog and on their terms, and that the needs and demands of the recipients are met with the right level of academic knowledge.